Council Rebuttal Evidence finally came in this morning and as expected the Council has replied through that evidence against my Primary Evidence for the Super Metropolitan Centre Zone. Do we via the Unitary Plan ignore all those commuters from Pokeno and Huntly coming to work in Auckland or do we factor them in? The reason why I ask will be outlined tomorrow. So How Many Chickens Can You Keep in Auckland? The answer is: From Auckland Council: Urban animals provide a slice of the good life A new Animal Management Bylaw comes into place tomorrow that supports a growing trend for … Continue reading So How Many Chickens Can You Keep in Auckland? Rising rent prices in Auckland might mean future tertiary students will choose to study elsewhere in New Zealand. The New Zealand Union of Students’ Association says Auckland students are paying the highest regional rent rates in the country, according to its 2014 Income and Expenditure survey. 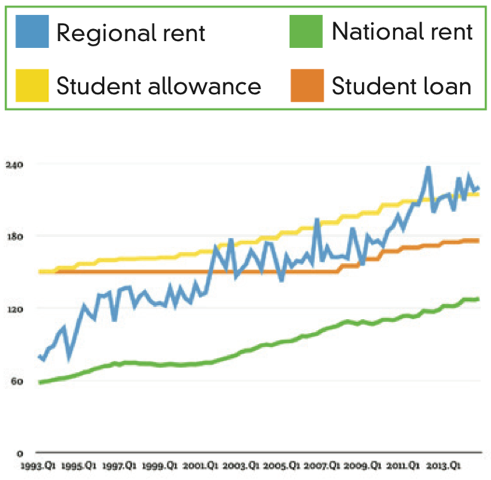 Auckland is the only city in New Zealand where maximum student allowance for a single applicant does not cover regional rent rates. The July 2015 Auckland suburb report by Barfoot & Thompson, showed that the average rent for a three bedroom home in the city centre was $806 per week. The students’ association survey shows that the average cost to rent in Auckland is $15.90 more than the second most expensive city, Christchurch. Auckland University student Aron Roberts-Radford and his flatmate pay $400 a week to rent in central Auckland. Welcome Bryce to the Auckland Blogging Community. I will from time to time reblog some of the big issues from the North that have regional consequences. Welcome to The Orewa Urbanist. This site will mostly cover the Orewa area but also the surrounding Hibiscus Coast region and will ink to various sources of valuable information from around the world. If you’re unsure what ‘urbanism’ is, sit back and enjoy. For background, I ride a bike when I can, I use public transport when I can, walk and yes, drive a car. I live in a 2 bedroom terraced apartment (with my wife and son) in the Kensington Park development at the northern end of Orewa. This is a quality medium density development and is, I believe, one of the very best in Auckland. This blog is not about favouring modes of transport or types of dwelling you may wish to live in but more to perhaps open your mind to possibilities you may not have thought of. Well designed density is not something to be scared of.